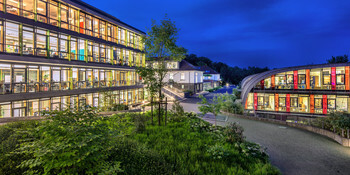 Miltenyi Biotec has six offices in the US, four on the west coast in Auburn, San Diego, Santa Barbara, and Sunnyvale, and two on the east coast in Cambridge and Gaithersburg. This enables us to meet the needs of our customers with the efficiency that they expect. Auburn, California, is home to the U.S. headquarters of Miltenyi Biotec. Our Auburn office supports all the needs of our esteemed North American customers, everything from logistics, to customer support and to technical services. With a complete customer training lab on site, researchers can receive comprehensive training and support. Located in one of the largest biotechnology hubs in the world, our Miltenyi Biotec Cambridge, Massachusetts, office handles regulatory functions and clinical sales for North America. The office also supports clinical studies and development, and works closely with administrations like the FDA. Our team in Cambridge is committed to advancing research from bench to bedside. Around the corner from MIT, Harvard, life science and pharmaceutical companies, the Cambridge office is always ready to support the research and clinical needs of our customers. Based in Gaithersburg, MD, Lentigen Technology, Inc. develops and commercializes therapeutics leveraging lentiviral vectors (LV) for numerous areas, including stem cell therapies and chimeric antigen receptor (CAR)-modified T cells for oncology indications. 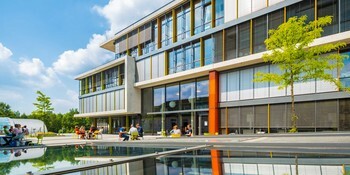 The new 5000 sq. ft. GMP manufacturing facility produces preclinical (non-GMP) and clinical (GMP) lentiviral vectors in two parallel ISO 7 (Class 10,000) Suites and one ISO 8 (Class 100,000) Suite. The suites, which meet US FDA and EU regulatory requirements, are designed for production of clinical grade lentiviral vectors for Phase I and Phase II clinical trials. Lentigen Technology, Inc. also offers contract manufacturing. Our San Diego office is positioned in one of the most influential biotech, pharma, and life sciences hubs in the world. With more than 3,500 biomedical business, 80 research institutes, 65 pharmaceutical companies, and many top universities, San Diego is an essential location for our U.S. research and clinical business. Together with our locations in Cambridge and Auburn, our San Diego office allows Miltenyi Biotec to support our U.S. customers from coast to coast. Santa Barbara, CA is the home of our development and commercialization team for the MACSQuant Tyto, our revolutionary, microchip-based cell sorter and disposable cartridge. This team brings together expertise in flow sorting and microchip engineering to make the next generation in cell sorting a reality. 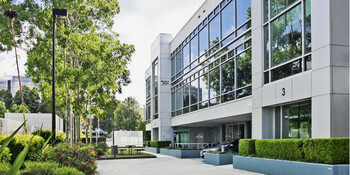 In Sunnyvale, CA, Miltenyi Biotec offers cell therapy process development and GMP manufacturing. The ~19000 sq. ft. facility is equipped with three GMP Class B clean room production suites.